Will Las Vegas Top Colorado’s Record-Breaking Cannabis Sales? Las Vegas has a unique positionality as a tourist hub, so will this allow the city to eventually surpass Colorado’s sale figures? In part 1, Nevada Dispensary Association President, CEO and Board of Director of Nevada Organic Remedies (owner of The+Source medical marijuana dispensaries) and Nevada Green Ribbon Advisory Panel member, Andrew Jolley gave HERB some exclusive insights into the future of the cannabis scene in Las Vegas. How does national politics play into cannabis’ expansion? Due to the anti-cannabis rhetoric coming from the current administration, I asked Jolley if he felt that that the current political climate will affect Nevada’s ability to be expansive and creative in establishing new cannabis policies. Jolley points to a growing frustration amongst cannabis advocates and the 2 million medical marijuana patients across the U.S. who’ve heard what he refers to as, “a bunch of unplanned, confusing and contradictory statements that reflect more of their personal beliefs than supportable legal arguments. If anyone out there has been able to make sense of what the Trump administration has been saying I would really like to hear from them. A letter recently surfaced that Attorney General Jeff Sessions submitted to Congress asking them to amend the Rohrabacher-Farr amendment that protects medical marijuana states against federal interventions. Well, where are the problems? In Colorado you have 150M of tax revenue being generated along with tens of thousands of jobs, and then on the other side, where do you see the problems? Violent crime, DUIs, consumption among youth have all remained essentially the same so, I just don’t see that negative impact to society that critics sometimes like to throw out there. The reality is much different than their fears. How is local law enforcement responding to the changes in Las Vegas marijuana laws? Speaking of the possibility of increased law enforcement, I asked whether Jolley had heard of any widespread enforcement tactics here in Las Vegas to look out for after July 1. In fact, Jolley says he has personally witnessed the embracing of cannabis by local police. I’ve actually been involved in many discussions with law enforcement and I haven’t heard of anyone talking about increased enforcement. What I’ve heard them talk about is how to adapt their policies and procedures to be in line with our new laws. I have personally toured several police officers through our facilities who are just curious about how we operate. So, I’m optimistic that law enforcement will be able to get up to speed on these new laws and help the community be safe and still allow for personal freedom. What about the controversy surrounding DUI blood tests for cannabis? Since THC metabolites can remain present in the body for months, is the LVMPD taking measures to conduct more accurate testing? With regards to DUIs we do need to change our approach. Driving under the influence of alcohol is much different than driving under the influence of cannabis, or prescription drugs or any number of substances that can alter your ability to drive safely. And I hope that we can follow other states who’ve made changes to the way that they test impairment. That’s really the key, testing impairment. Not metabolites that may still be in your blood from several days or even weeks ago. Switching gears, what benefits will recreational cannabis bring to the Las Vegas economy? Las Vegas residents are interested in knowing what types of benefits they’ll derive from this new source of revenue, so I asked Jolley what Las Vegans might be able to look forward to economically within the upcoming year. In terms of benefits, let’s look at Colorado. Colorado has one of the strongest economies in the nation. The unemployment rate is very low. Their real estate economy is very healthy and they’ve produced somewhere around 30,000 or 40,000 direct jobs. Plus, you have to look at all of the indirect benefits on the economy. For example, look at all of the ancillary supporting businesses to the cannabis industry. Everything from product suppliers to transportation companies to contractors and subcontractors and all of the other ancillary companies that benefit from having this multi-billion-dollar industry growing the way that it is. On a personal note, Jolley expressed his personal views regarding the decriminalization of cannabis. The idea that we’re not going to arrest and imprison people for possessing this plant… look at the waterfall of benefits that come out of just that change in our society alone. To me, that’s enough justification for legalization because I think it’s a travesty and it’s time we changed that. 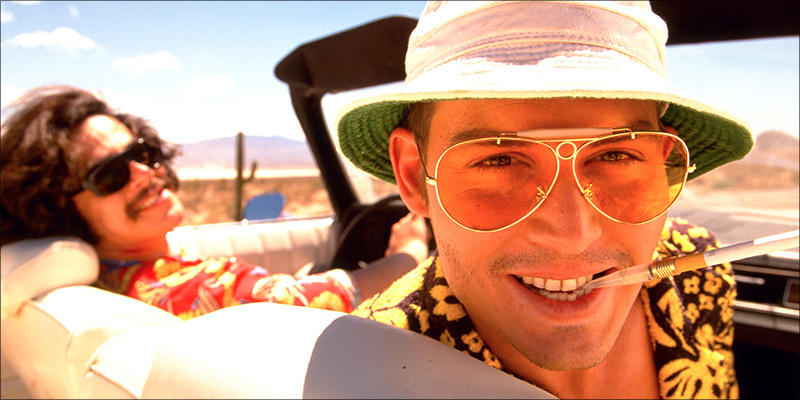 Can Las Vegas eventually top Colorado’s record-breaking cannabis sales? 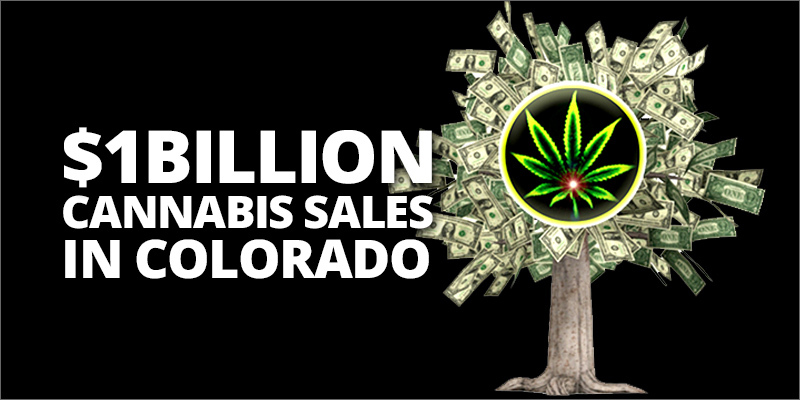 Speaking of Colorado, their state surpassed the $1B mark in cannabis sales just last year. I asked whether he thought that Las Vegas’ unique positionality as a tourist hub would allow us to eventually surpass those numbers. I think it’s possible for Vegas to meet or exceed with Colorado has done. But the RCG that was done for the Question 2 campaign… their projections had annual sales beginning at about $400M and then growing from there. So, it’s hard for me to predict. But I do think, as you’ve said we do have an enormous amount of potential given our tourism economy. As we covered in pt. 1, the Nevada Gaming Commission intends to continue its ban on cannabis consumption in and around Strip properties (hotels, bars, casinos, restaurants and even public walkways). I wondered whether Jolley felt that high revenues from recreational cannabis might influence the Gaming Commission to loosen its bans on cannabis consumption. The gaming industries primary concern is their licensing and until they find a way to be 100% comfortable with the idea that cannabis users will not jeopardize their gaming licenses, I don’t think we’ll see any changes in the current stance on this issue. But I do feel that will happen someday, I’m optimistic. I just can’t predict when that’ll happen. Stay tuned for pt. 3 with Andrew Jolley discussing Sin City’s cannabis novelty culture, and The+Source medical dispensary’s plans to attract recreational customers.